Present your JTA Thank You card at the Checkout to earn JTA points and Magna points. For every $20 [*] spent, you will earn 1 JTA point and 1 Magna point. Your points earned and JTA points balance will be at the bottom of your receipt. You can also earn Bonus JTA Points on select items and select time periods, so look out for those offers instore and in your email inbox! 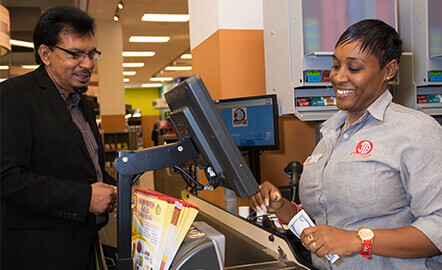 Scotiabank Magna MasterCard customers will continue to earn Magna points when using their Scotiabank Magna MasterCard at JTA. 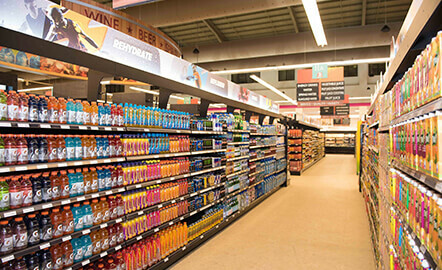 You can choose whether to redeem your JTA points for instant Discounts on your grocery purchases. For every 100 JTA points redeemed you can get $10 discounted off your grocery purchase. Or you can choose to save up your points to reward yourself with gifts and experiences that will be offered at select times in the near future. When you receive your Magna Rewards voucher in the mail you can still redeem it at JTA before the voucher’s expiration date. 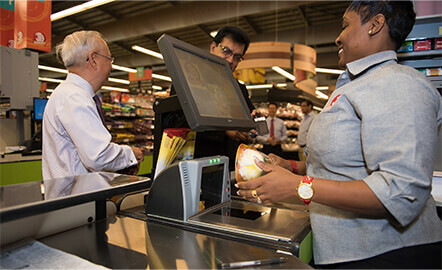 Ask our friendly JTA Thank You team for a JTA Thank You card at any JTA Supermarkets store. Sign up will be as quick and painless as possible! If you are an existing Magna cardholder your account will be linked to your new JTA Thank You account, so that you retain all of your previously earned Magna points. You will just need to provide your Magna card number and confirm your contact information before you dash off! If you do not have a Magna card, you just have to sign up once to create a JTA Thank You account and Magna account to start earning points. As soon as you sign up, you will receive your new JTA Thank You card to start earning points immediately!